Clothesline + Sewing machine = Fun Project! 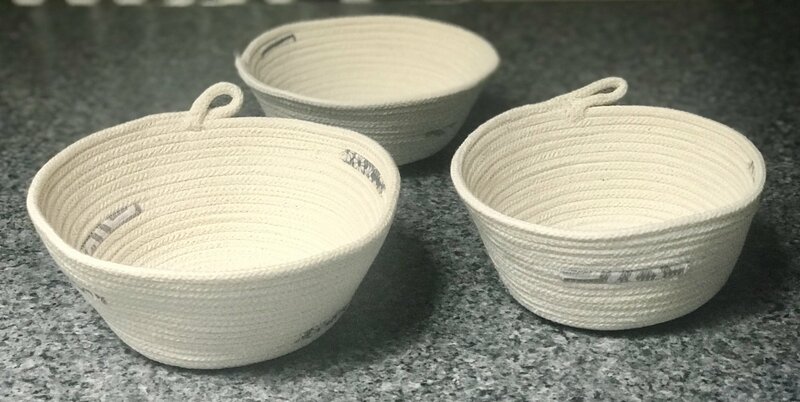 We’ll use ordinary Cotton Clothesline and a few fabric scraps to make a fabulous rope bowl. You’ll be amazed how they “shape up” in no time. These fun, quick bowls are very addictive and make great gifts as well. This project is for everyone, only basic sewing skills required. Come join me!